We will continue our work with thermal physics. Homework assignments, labs, and our tremendously great problems to solve will depend on how well we weather the energy transfer from our region of the globe to distant lands. This will set up an energy differential between Avon Lake and other parts of the world that can be assessed via any of the three temperature scales. *Nerd Life* Note: Stay in touch on Remind. If there are days off from school due to the weather, there will be online “blizzard bag” assignments for you to do. On Monday we will complete assignment 3 from unit 4. Expect a quiz over goal set 3 on Tuesday or Wednesday. As announced please take notes on video 4. This will be your favorite video of the year, no joke! If we miss any school days due to weather, please take notes on video 4, due on our first day back to school. Assuming we don’t miss any school this week, we will be taking the unit 4 test by the end of the week. School starts this week on Tuesday, as we have Monday off to honor the life and work of Dr. Martin Luther King, Jr.
On Tuesday we will complete our notes on fluid flow and will do some more tremendously great problems to solve including homework 3. Expect the unit 8 test on fluid mechanics on Wednesday or Thursday. Next in this cold month of January is our unit on HEAT! On Tuesday the morning classes will take a quiz over energy goal set 2 (work and the work-energy theorem.) Because I don’t like to give homework over a long weekend we will take lecture notes in class on Tuesday over the content from energy video 3. However, what we don’t finish from the lecture will be due from the video by Wednesday. Throughout the remainder of the week we will complete assignment 3 and will possibly take a quiz over goal set 3 and/or complete the conservation of mechanical energy experiment. Exams are next week, but our quarter grades will continue after winter break. Exam reminder: The exam schedule is available at this link. AP Physics: Your exam will cover units 1-6. Physics: Your exam will cover units 1-3. Use your learning goal sets as your study guides. We will complete unit 6. For Monday please do homework 3. On Monday and Tuesday we will cover angular dynamics with notes, a lab, and practice problems, Homework 4 is due on Wednesday, and our unit test will be Thursday. I’ve changed my mind and decided to cover unit 7 on Friday and the Monday before exams. Just kidding hahahaha! In reality we’ll use those two days to review. If you are in my afternoon section, notes from unit 3 video 5 on Newton’s second law are due by the start of class on Monday. (Morning classes should NOT take notes on this video over the weekend.) We will analyze various problems involving net force and acceleration using Newton’s second law and will do assignment 5, goal set 5, and a quiz over goal set 5 as announced. When assigned, please take notes on unit 3 video 6. We’ll discuss Newton’s third law, do assignment 6, and hopefully get our unit 3 test in on Friday. In 2015 two filmmakers went to the Nevada desert and crafted a perfectly-scaled, miles-long model of our solar system and then used a drone to make an award-winning video, which you can see here (or below). Their current project is a new video, To Scale: Time, in which they model time from the Big Bang 13.8 billion years ago to 2018, mapping out major events along the way. As far as I can tell this flick is yet-to-be-released, although you can read about it here in an article from a great magazine, Popular Mechanics. This is the second-to-last week before exams! Wow! The exam schedule is available at this link. AP Physics: Your exam will cover units 1-6 (and possibly 7). Physics: Your exam will cover units 1-3. Use your learning goal sets as your study guides. On Monday unit 6 homework 1 is due along with the problem packet you received in class on Friday. (I’m not going to sugarcoat it. Homework 1 is one lengthy beast, so start early.) On Monday we will also finish the experiment we began on Friday. During the rest of the week we will explore rotational kinematics and torque. This will include homework 2 and possibly 3, more problem sets, and an experiment on rotational equilibrium. Bring your books to class on Monday, because we’re going to have a blast doing unit 3 assignment 3. Early in the week we will also wrap up our friction experiment. As the week progresses, please take notes on video 4, which covers inertia, when announced. We will complete assignment 4 and possibly progress to video 5. NASA dropped something on Mars this week! Check out the video! This week is the third week of second quarter, and it’s almost Thanksgiving! Yay! We will explore the law of conservation of linear momentum in systems this week by taking some enlightening and exciting notes, doing some intellectually stimulating practice problems, completing a mind-blowing experiment, and doing a very fulfilling homework 2. None of this is hyperbole. That last sentence was not glib. These are not the droids you’re looking for. By the end of the week we will explore the role of energy in collisions. Woot! For Monday please take notes on unit 3 video 1, Net External Force, Weight, and Normal Force. We will do assignment 1 together in class and will take a quiz over goal set 1 as announced. When assigned please take notes on video 2, Friction. Mark your calendars for May 21! Our field trip to Cedar Point is approved for that day. While it’s not mandatory, if you’d like to go, you can toss it with confidence on your calendar now. Problem packet 3 is due on Monday, when we will tie up loose ends from unit 4 on energy. The unit test will be Tuesday. This week we will also begin our unit on linear momentum. There are three topics in this unit, and we should work through the first topic, first homework, and first lab throughout the week. Woot! This week we will take a quiz over horizontally-launched projectiles, complete goal set 2, do an experiment on projectiles, explore projectiles launched at an angle, and take our unit 2 test. YEAH! Here’s one more optional practice problem for your enjoyment. The solution is on page 2, so scroll for it. (Please see below for what is due for your particular class on Monday/Tuesday, as the schedules differ based on lab period.) By the end of the week we’ll begin talking about forces on our path toward Newton’s laws. If assigned, please take notes on unit 3’s video 1 on net external force, weight, and normal force. Period 1: Goal set 2 is due on Monday, and we will take the quiz on Monday. The lab is Tuesday. Period 3: Assignment 3 and goal set 2 are due on Monday. We will do the lab on Monday. The quiz is Tuesday. Period 11: We will do the lab on Monday. Goal set 2 and the quiz are for Tuesday. In these post-Halloween, candy-heavy days it’s fun to think about all of the critters we unintentionally live with. A new study is asking people to seek out and photograph the spiders and insects who keep us company. Grab that phone and take some snaps! This week we will complete our unit 4 study of energy. We will complete notes and do practice problems on Tuesday, and homework 2 will be due on Wednesday. (You probably can figure out most of homework 2 already, so if you’d like to get started, don’t hold back!) Throughout the rest of the week we will cover the topic of power and will do another set of practice problems. If this weren’t a short week we’d certainly be ready to test by Friday, but there is the possibility that we will test this unit at the start of the week of November 5. Our next move will be our unit on momentum! We will continue to practice the math associated with projectile motion, as discussed in videos 3 and 4, which you’ve already taken notes from. In class we’ll do practice sets, assignments 3 and 4, and a lab. This will spill into the week of November 5. Expect the unit test sometime that week. Then we’ll force our way into unit 3 on Newton’s laws! I’d love for you to have awesome jobs that make you happy in the future. 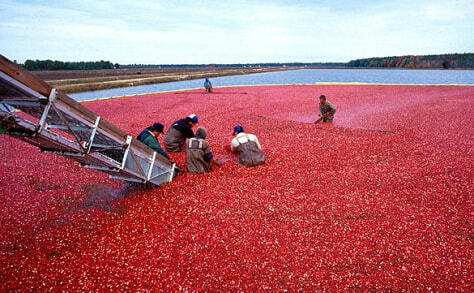 Here’s a field that is in high demand, and it involves physics! 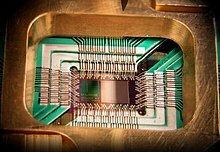 Quantum computing involves using quantum mechanics to create quantum computers that function at levels inconceivable by today’s standards. The New York Times reported this week that there are not enough Americans qualified in this field, so many companies are offering visas for people to come here to do the work. That’s the definition of a job that’s high in demand. Maybe it will interest you!